As former law enforcement officers, we offer our experience, common sense and judgement in our services. We will always take time during a consultation to point out any security deficiencies in the home that we may notice. We strongly encourage clients to secure their homes as best as possible and to always have situational awareness outside of their home. The National Crime Prevention Council (www.ncpc.org) offers sound ideas to protect your home and family. Here is a simple checklist to guide your efforts to harden your home against crime. Keep in mind these are just some of the steps you could take to decrease the likelihood your home is targeted. Take a moment to assess your current level of home security. Answer the questions below with an honest “Yes” or “No”. Next, review any boxes marked “NO” and consider whether those topics may indicate areas you should consider taking action to improve your home’s security. ❏Yes ❏No – All exterior hinged doors have a working, key-entry lock and a sturdy deadbolt lock installed into the frame of the door. This includes any doors leading from the house to an attached garage. ❏Yes ❏No – All sliding glass doors have an additional security bolt besides the standard lock. ❏Yes ❏No – Spare keys are kept with a trusted neighbor, neither under a doormat nor planter, not on a ledge, nor in a mailbox. ❏Yes ❏No – All entry doors have wide-angle viewers at heights everyone can use. ❏Yes ❏No – All exterior doors, both hinged and sliding, are locked each night and every time we leave the house— even if it’s just for a few minutes. ❏Yes ❏No – All outside doors have a working motion-sensor light that is bright and positioned to illuminate visitors. ❏Yes ❏No – All hinged doors are solid hardwood or metal-clad construction. ❏Yes ❏No – If there are glass panels in or near our doors, they are reinforced in some way to prevent shattering. ❏Yes ❏No – The overhead garage door has a lock so we do not rely solely on the automatic door opener to provide security. ❏Yes ❏No – All garage doors are locked each time we leave the house. ❏Yes ❏No – All windows have a working lock. ❏Yes ❏No – All windows are locked each time we leave the house. ❏Yes ❏No – Shrubs and bushes are trimmed to reduce places for someone to hide. ❏Yes ❏No – All outside doors have functional bright motion-sensor light(s) to illuminate visitors. ❏Yes ❏No – Dark areas around our house, garage, or yard that would hide prowlers are illuminated at night with motion-sensor floodlights. ❏Yes ❏No – Our house number is clearly displayed so police and other emergency vehicles can quickly find the house. ❏Yes ❏No – At least two light timers have been set to turn the lights on and off in a logical sequence when we are away from home for an extended time. 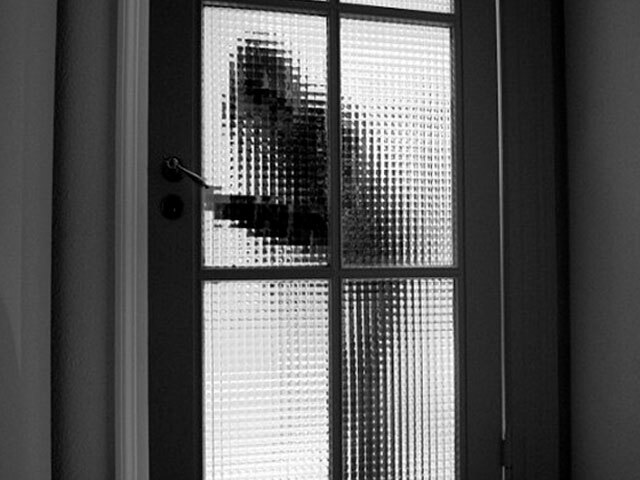 ❏Yes ❏No – All motion-activated detection or other alarm systems are activated when we leave home. ❏Yes ❏No – Mail and newspaper deliveries have been stopped or arranged for when we go away from home for a period of time. ❏Yes ❏No – A trusted individual or home watch service has been asked to watch our home when we are away. ❏Yes ❏No – All gate latches, garage doors, and shed doors are locked with high-security, laminated padlocks. ❏Yes ❏No – All gate latches, garage doors, and shed doors are locked after each use. ❏Yes ❏No – Grills, lawn mowers, and other valuables are stored in a locked garage or shed, or if left out in the open, are hidden from view and securely locked to a stationary anchor. ❏Yes ❏No – All bicycles are secured with U-bar locks or quality padlock and chain. ❏Yes ❏No – Bikes are always locked, even if we leave them for just a minute. ❏Yes ❏No – Firearms are stored unloaded and locked in storage boxes and secured with trigger guard locks. ❏Yes ❏No – Valuable items, such as televisions, stereos and computers are inscribed with an identifying number approved by local police or at a minimum serial numbers are recorded. ❏Yes ❏No – Our home inventory is up-to-date and includes pictures. A complete copy is kept somewhere out of the house.